These transparent blue glasses are new-old-stock frames made in Spain by INDO optical and in excellent condition. Thank you! They just arrived yesterday. 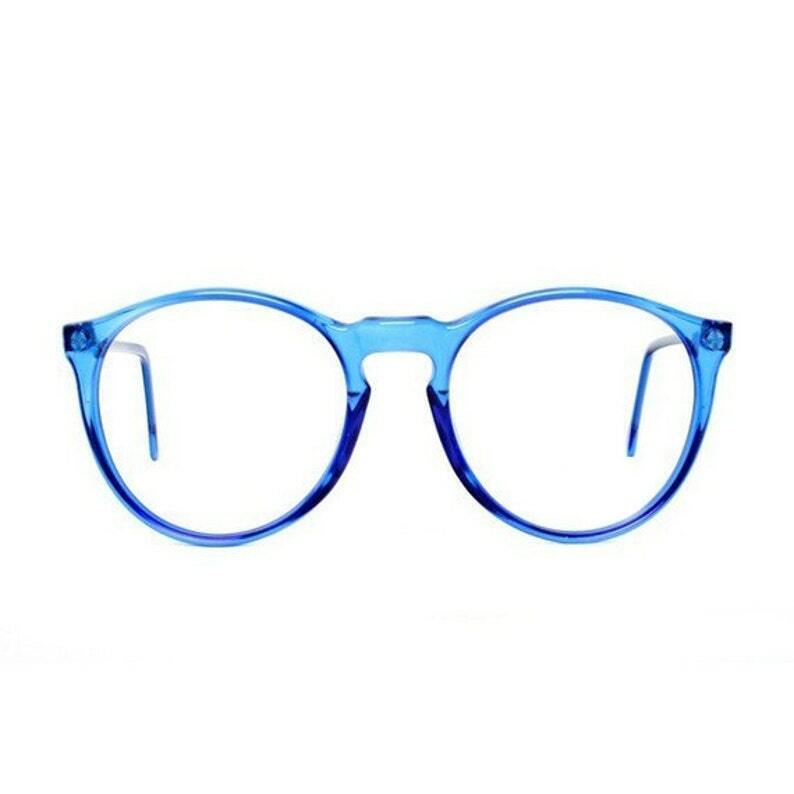 Frames are exactly as described and pictured, have not taken them to my optician's yet but really hope they'll agree to put the lenses in as I can't wait to wear them. They're about the same price as I'd pay for frames from the shop, which is a plus, and it only took a few days to arrive in the UK.